So, after all the feint and razzle-dazzle, the victory dance of Osagie Ize-Iyamu would be aborted even before it started. For the gangling matador expected to lead PDP's chariot against the foe on September 10, how ironic that the first attack came, barely 24hrs later, in form of a vicious dagger-stab in the back from within his own party. By disclaiming the primaries that crowned Ize-Iyamu as PDP's standard-bearer in the Edo governorship contest some 80 days away, factional national chairman, Ali Modu Sheriff, has effectively set the cat among the pigeons in what remains of a once formidable party. Pray, in the days ahead, on what moral ground, high or low, will PDP be perching to promise Edo people salvation and prosperity when it is in disarray itself? It is clear the aspiring physician himself is in dire need of healing to begin with. 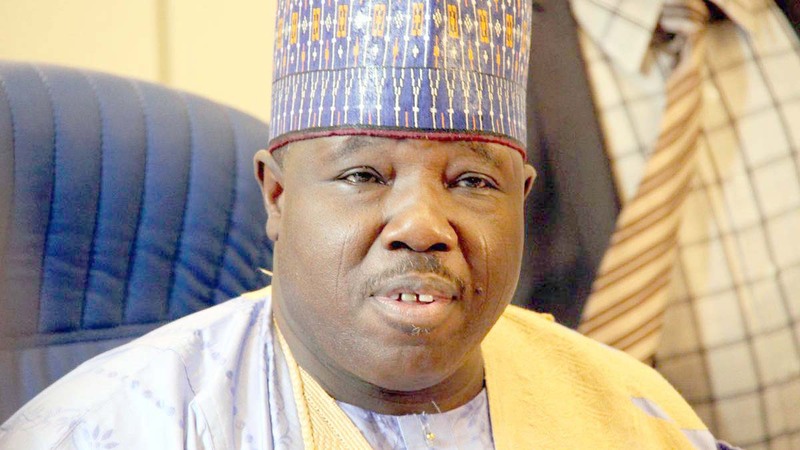 In a letter addressed to the Independent National Electoral Commission (INEC), Sheriff dismissed the Monday event staged by the Ahmed Makarfi faction at the Sam Ogbemudia stadium as an exercise in futility because the "caretaker committee is illegal". For doubters, he has since unfolded an elaborate timetable for the "authentic" congress beginning from yesterday and climaxing June 29, barring any unforeseen circumstance. Even before Sheriff threw (a) spanner in the works on Tuesday, the two challengers Ize-Iyamu trounced to the ticket, Solomon Edebiri and Mathew Iduoriyekemwen, were already sulking before the last ballot was counted, typically alleging irregularity. Now, it remains to be seen if they are principled enough to resist the temptation to make a gamble for Sheriff's own ticket. In the circumstance, pundits have now found themselves in a frenzy of permutations. If Sheriff goes ahead to issue his own ticket, will two "candidates" then run parallel campaigns in PDP's name in a shared determination to win the election first before seeking court's interpretation on who is right? Will Edo people accept to be part of the ensuing circus? Which faction will INEC recognize? While contemplating the prospects of such dark scenarios, the significance of Ize-Iyamu's emergence Monday should however not be lost. If nothing at all, it has hammered down the last nail in the coffin of Tuketuke politics once glamorized by Tony Anenih, Mr. Fix-It. For easy reference, that brand of politics refers to the cartel species in which the word or even silence of the introverted godfather is binding. Politics was played under a depraved ethic that normalized rigging. Power was allocated at the pleasure of and exercised to the benefit of same godfather. Tellingly, on the day Ize-Iyamu was coronated by the dominant faction of Edo PDP the old fox from Uromi was missing in action. Or, the worst of all fears: could Anenih be in cahoots with Sheriff? Whichever the case, with Sheriff on the offensive today, it would seem the wheel of perfidy has alas turned full cycle for PDP. 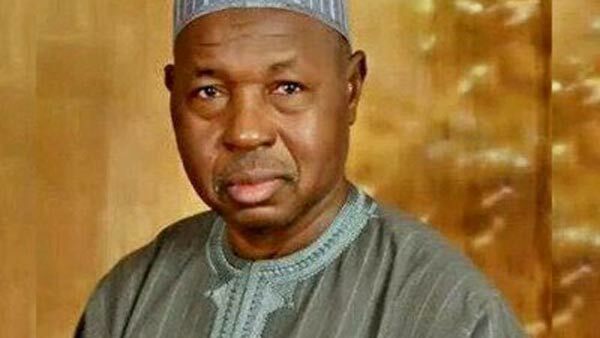 In case the Kanuri-born undertaker is now derided as a Frankenstein monster, his creation dates back to more than a decade ago under PDP's old order dominated by barons like Anenih. As ANPP governor of Borno beginning from 2003, PDP recruited Sheriff to subvert his own party, to the pleasure of puppeteers then holed up at Aso Rock and Wadata House. At home, the band of thugs he nursed as sitting governor is believed to have formed the nucleus of what is today known as Boko Haram. 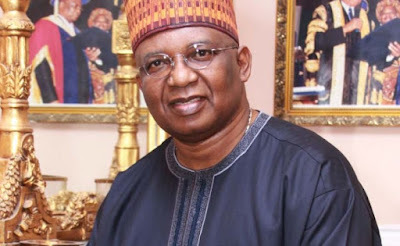 When Sheriff failed to corner the headship of nascent APC in 2014, PDP top brass like Anenih rolled out a red carpet to receive back home their Prodigal son, the wrecking ambassador. Now, the proverbial Karma is on the prowl. Returning to Edo, at the height of his imperial reign as "Mr. Fix-It" twelve years ago, Anenih had the likes of Ize-Iyamu defenestrated from PDP for taunting him that "No man is God". Intoxicated with misbegotten power and consumed by an animal rage to avenge that obloquy, the ruthless godfather drew a rare weapon. He floated the idea of "re-registration" of members. By the time a new register was unveiled, all the "rebels" had been summarily deleted. Such arrogance! The other day, Anenih declared before a Catholic altar in Benin City that he had forgiven those who wronged him. That is expected of any true Christian. 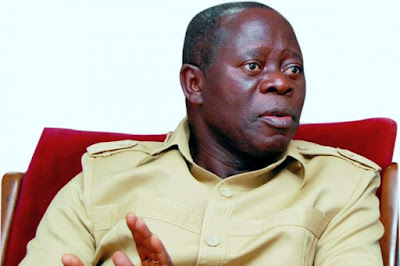 But while extending unsolicited amnesty to perceived transgressors, one would have expected his gesture be prefixed with an unqualified apology to all Edo people and indeed all and sundry across the nation who, over the years, were made to bear the affliction spread by his own toxic brand of politics. That the old godfather could no longer afford to stand in the way of the train that ferried Ize-Iyamu to the Markafi's ticket last Monday in Benin City only helps to underscore not just the tectonic shift in the intra-party behavior of PDP, but also the changing texture of Edo politics generally. 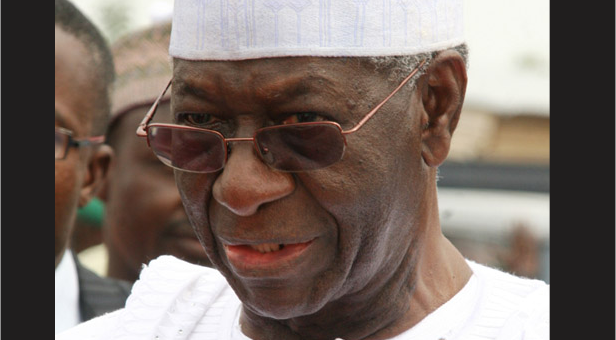 Now stripped of the federal talisman and with the proverbial "oxygen mask" from Abuja effectively demobilized, Anenih has overnight morphed into a political vegetable, swallowing his once elephantine pride, forced to make peace with his ancient adversary in sheer desperation for mere survival. Indeed, when the old godfather gnashes his sparse denture at his growing misfortune and inability to impose candidates on his party anymore, it simply means the stocks of democracy is rising. Voter power is on the ascendancy. To an extent, it could be said that this tendency was also reflected in the countdown and outcome of the APC primaries which preceded PDP's. Governor Adams Oshiomhole's open endorsement of Godwin Obaseki was hardly enough to extinguish the burning desire of eleven other aspirants, with no fewer than three of them putting up a titanic fight to the very end. So much that no one was sure where the pendulum would tilt until the umpire's trenchant count of "Obaseki !, Obaseki ! !, Obaseki !!! ..." became dominant in the small hours of that wet Sunday. That fellow party stakeholders like Pius Odubu (deputy governor), Chris Ogiewonyi and Ken Imasuagbon could go that far in defiance of the governor is a testimony that our democracy has left the Tuketuke harbour of old where no one dared look the godfather in the eyes. But if any doubt ever lingered on who remained in firm control of Edo APC, it was emphatically erased last Sunday with the wide margin Obaseki, Oshiomhole's anointed, won. Nonetheless, with the staccato of lightning, thunder and sheer turbulence that had preceded June 18, the former labour president should have been cautioned as well on the limitations of his own charm. At no time in the past eight years has his authority within his own very political home been this fiercely challenged. On account of that tumult at the backyard, he must by now be fully awakened to the monster his own creation has transformed to. Obviously, the "one man, one vote" advocacy he had launched in 2006 then as a contender to the Dennis Osadebey house has since assumed a life of its own. 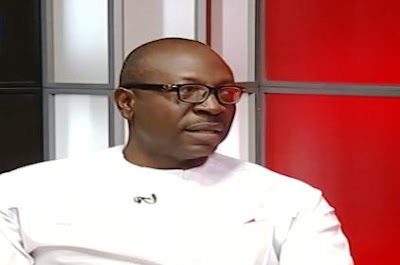 And long after the tale of the moulded bricks and erected mortals of the past eight years would have become stale, posterity will certainly credit the man from Iyamoh forever as the game-changer in Edo politics. On the whole, what I consider a big minus on the part of the party establishment was denying the roughly 2,600 delegates, nay the Edo public, an opportunity to hear the horde of aspirants speak, however briefly, in the true tradition of party convention. That way, an aperture would have been opened to directly view the minds and assess the thinking of those wishing to succeed Oshiomhole. But if any man truly emerged from the Ogbemudia Stadium in the wee hours of last Sunday greater than he went in, it is undeniably Odubu, the first runner-up who polled 471 votes. As Ernest Hemingway tells us, to be defeated and not surrender is the ultimate victory. Indeed, no one gave Oshiomhole's own deputy any chance early in the day. Not only did he throw his hat in the ring when his boss was thought to prefer someone else, he thereafter ran a vigorous campaign despite all odds. At the end, he proved he was no push-over after all. Interestingly, in a rare show of gallantry, five among those defeated have individually accepted the verdict and congratulated the winner. They include Charles Airiavbere (the retired Army general who carried PDP's flag against Oshiomhole in 2012), Peter Esele (immediate past president of TUC), Emmanuel Arigbe-Osula, Ebegue Amadasun and Blessing Agbomhere. But the same cannot be said of Ogiewonyi and Imasuagbon whose lack of grace in defeat is worsened by the incoherence of argument. Incidentally, both are decampees from PDP. Before the election, they had raised the alarm that INEC PVCs were being mopped up by Obaseki. They only stopped beating the gong after being reminded of the inherent illogic. PVC is used in general elections, not party convention. For a contest supervised by Governor Bello Masari of Katsina State (assumed to be observing the Ramadan fast as a devout Muslim) and conducted in the open before live cameras of no fewer than three television stations, it is quite disturbing that Ogiewonyi and Imasuagbon are now alleging massive rigging by way of "abduction and detention of delegates" by Obaseki's promoter and "smuggling cloned ballots" to the election venue. For instance, in one breath, they alleged the venue was flooded with "mercenary" delegates to vote a particular candidate. In another, they reported: "The announcement of the final result immediately provoked a general condemnation and rejection of the result by delegates that voted in the primaries." The same "mercenary" delegates? Haba! Being bad losers is already despicable enough. Peddling such wonky theory is carrying self-ridicule too far. Curiously, the duo were silent on the use of money in the exercise. On that note, there were only a few saints. The delegates all had a field day feasting around. Just the way Obaseki was called "Oshio Baba's pikin", Ogiewonyi (a.k.a oil sheik) and Imasuagbon (a.k.a Rice Man) were generally seen as free-spenders. In fact, according to The Nation account last Sunday, shortly after Oshiomhole left his seat in the state box for the field while voting was ongoing, the duo, suspecting some mischief, literally leapt in rage from their seats onto the arena and raised hell. While enjoining the State Police Commissioner (Chris Azike) to stop the governor, Ogiewonyi reportedly thundered: "Do you know how much I have spent? The governor should go to his seat!" 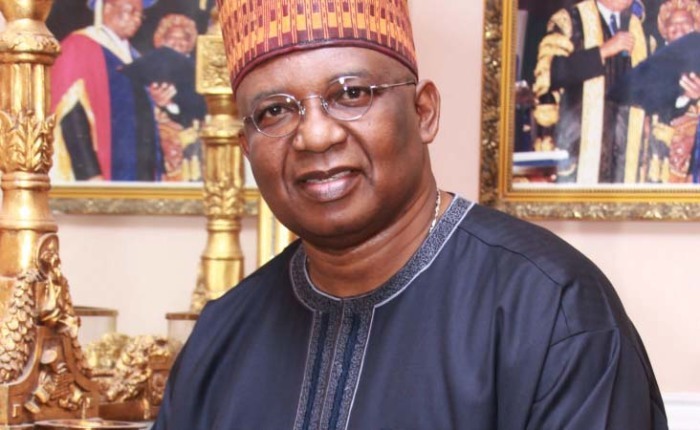 Visibly agitated, Imasuagbon spoke in similar vein, claiming to have spent hundreds of million of his own money over the years buying and sharing rice around the state. But there are other interesting aspects of the drama that transpired among the contestants inside the Ogbemudia stadium last Saturday that the zoom lens of the television cameras missed and have so far not been documented by the print media. Before voting commenced, Ogiewonyi, known to enjoy the strong backing of John Oyegun (APC national chairman) the same way Obaseki had Oshiomhole's support, engaged the governor in banters and theatrics in the state box. Later, Odubu was locked with his boss in Azonto shuffle for several minutes, dancing to an highlife number blaring from the loudspeaker. Ditto Arigbe-Osula. And down the front roll in the state box, Osariemen Osunbor, flanked by his spouse, sat throughout, looking absent-minded, except for when he devoured a cob of boiled maize. When Imasuagbon materialized, he moved over to where Oshiomhole sat and genially snatched a finger from the bunch of banana the governor was snacking on, to the applause and admiration of onlookers including journalists. In all, if there was any shocker, it is the fact that Ogiewonyi miserably failed to live up to the hype after billions of naira he sunk. Swindled by charlatans and conmen masquerading as political strategists, the one-time Works minister continued to live in denial of one grave inadequacy. 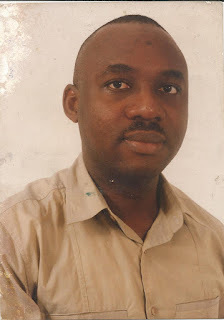 He was still a PDP contractor at the birth of APC between 2013 and 2014 when the list of delegates was compiled. Without having his own men on the original list, how could he have hoped to come in and upstage those who dug the foundation of the castle? Considering the spirit of camaraderie, the bear hugs that had permeated the state box last Saturday evening, the puzzle is: at what point did Ogiewonyi and Imasuagbon wake up to the litany of infractions or the "programmed fraud" now alleged? Was it after they finished dancing Azonto with Oshiomhole that evening? It is high time our politicians imbibed the spirit of true sportsmanship and stopped the flatulent habit of crying wolf in defeat. Truth is: the strongest candidate won the APC primaries.